Disorders-by body region; in children, women & men, Your rights as a patient, First aid in minor problems and emergencies, Cancer test schedules, Caring for the elderly, Contraception, Infertility, Mental health, Obesity. Jagit and John Daniel graduated from C.M.C, Ludhiana. John worked at G.T. Hospital, in public health and industry (Glaxo H.O.) before entering practice. Midway through the M.B.B.S his freelance stories and humour led to selection as a trainee journalist by The Times of India; but he had to forgo it. Jagit Daniel (nee Shori, 1936-2000) worked at Kalawati Saran Children’s Hospital, Delhi, and in preventive medicine at C.M.C. For 32 years she was in practice, mostly at Juhu, Bombay. Her dedication as a doctor is reflected in the affection with which her family clients regard her to this day. It is a pleasure to write a foreword for this by two doctors- husband and wife-whom I have known since the time they were practicing in Mumbai. My initial contact with them in the early 70’s was through referrals to me at the Nanavati Hospital. I understood the way they practised when they brought in serious patients themselves whatever the time, got basic care started and waited for me to reach the hospital. In writing from the family care point of view, they show the same concern for people as they had when attending to patients. Doctor at Home answers the long-standing need for a single comprehensive book providing general health guidance. The authors use simple language and admirably cover a very wide area. I am confident that this book will be beneficial to every family whose members are keen to help themselves- by being better informed on questions about fitness and health. Health is a lifetime concern. Your goal is to be fit and active, not be a liability to yourself or others…and, yes, minimize the need for doctors. Your own efforts can make a vital contribution to fitness and health, and help you lead a fuller and more active life. That is true for most people. Even a person hampered by a physical problem will be able to take some steps (as advised by the doctor) and benefit from them. And you can begin at any age, though the earlier the better. Many of the fitness/health steps are simple and easy (at least not difficult) to follow, and not unpleasant either. In fact, your exercise routine can be a very refreshing part of your day. The old-style general practitioner- I was one- played a key role in family health care. I treated all family members and knew more about my patients than a specialist would want to know. I gave preventive and fitness advice. I was called for home ‘visits’. An important responsibility was to spot at the earliest any illness that required specialized care, then direct or even take my patient to a good consultant or hospital. Beyond clinical work, I often had the additional role of family friend and advisor. In countries like the U.S family practice is a specialty. But here GPs are an endangered species. Medical graduates prefer to go on to specialties or super-specialties. Particularly in rural areas, many GPs are unqualified to practice allopathy. In the cities the trend among better of people is to consult a specialist for all problems- which in most cases is like asking a computer engineer to repair bicycles. Off and on during my thirty-two years of general practice, mostly at Juhu, Bombay, I made notes for an easy-to-use book suited to Indian conditions- to guide families to better health and, in case illness strikes, to help them get better treatment. Earlier, while working at a children’s hospital and in preventive medicine, I had seen that lack of information could lead to or worsen illnesses. There is no doubt that health-and-fitness consciousness is growing in urban India. But many misconceptions remain. In the U.S. recently I saw a handbook my daughter got from Kaiser Permanente- a health insurance company, which has its own network of hospitals. The book presented compact, clear information in an impressive format. As I went through it I knew I was on the right track. I have written Doctor at Home from a ‘family’ doctor’s point of view and the book is meant for the Indian family. 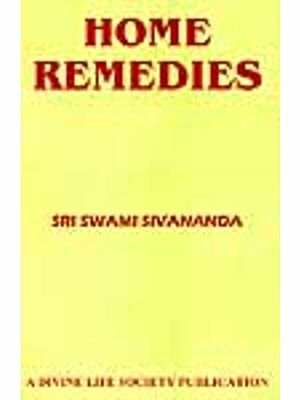 You will notice that many suggestions in the book are commonsense ideas. But please don’t forget that complacency or a crisis can make commonsense vanish. It can happen to anyone. Even doctors, who advise patients day after day, may tend to assume that they themselves are somehow immune to serious illness. As you known, prevention is always better than cure. Therefore the book’s emphasis is on fitness and other ways of preventing illness. So the chapters under Fitness: Keeping doctors away are at the beginning. Your rights and responsibilities is an important chapter. It is written with the hope of raising general awareness of their rights among patients, a great need in our country. As for illnesses, they are dizzying in number and variety. This book covers a wide range of commoner disorders. Cross references help you to gain a clearer idea of the topic you are reading. My intention throughout is to give information simply, with sufficient details to guide you but not so much that they are confusing. That is why the word include often precedes listed details. It is worthwhile reading the whole book first. In any case be sure to go through the introductory notes, as they will help you to use Doctor at Home more effectively and benefit more from the book. Refer to the book as often as you need. Read any topic you are interested in carefully, as most of the information is intentionally compact. And, of course, clarify any doubt you have with your doctor. Doctor at Home will guide you toward fitness and give you grater confidence in dealing with health issues. In short, used properly, this book will serve you as a valuable ‘GP’ friend at home. More than anything else in life, health is the key to happiness. I wish you that key.